THREE MEN HAVE been arrested by gardaí investigating the illegal hunting of deer in three counties. Gardaí carried out several planned searches in Carlow this afternoon as part of an operation targeting deer poaching in Wicklow, Carlow and Kilkenny. The three men, all in their 20s, were arrested and some evidence was seized at the scene. They are being held in Carlow and Thomastown Garda stations. The National Parks and Wildlife Service assisted the gardaí in the investigation. Deer are a protected species in Ireland and it is an offence to hunt them without a licence. Licences for wild deer hunting are issued every year by the National Parks and Wildlife Service. 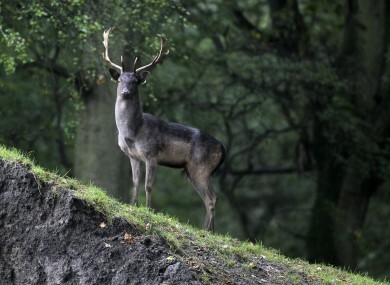 Email “Three men arrested over deer poaching”. Feedback on “Three men arrested over deer poaching”.